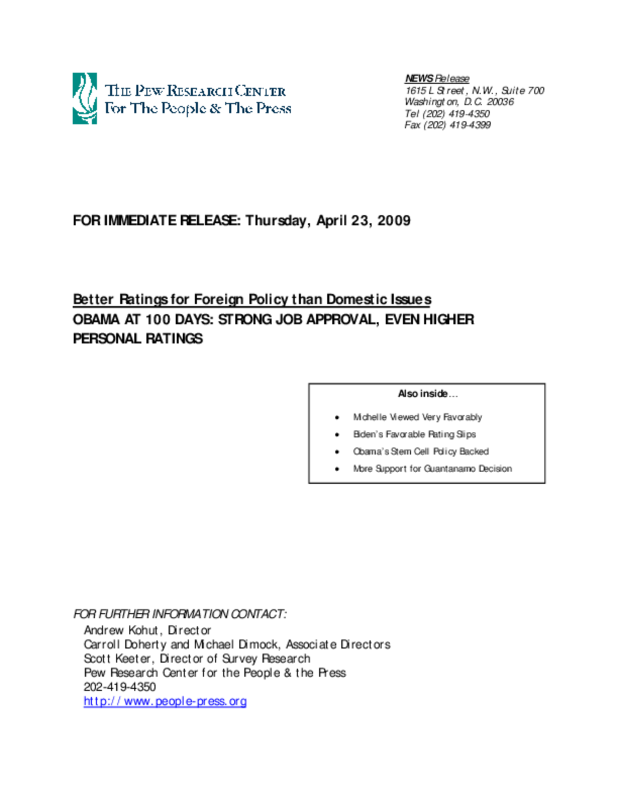 Analyzes trends in the job approval ratings and personal popularity of Barack Obama as of mid-April 2009. Examines ratings by policy area and by party affiliation, age, and income level and compares ratings with those of the two previous presidents. Copyright 2009 Pew Research Center for the People & the Press.